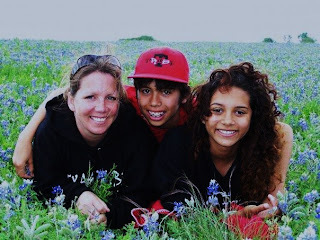 I miss the bluebonnets so much!!! Did I tell you I planted my bluebonnets? If that doesn't scream Texas, nothing does! Oh now that's fabulous .. dont you love Lady Bird's bluebonnets? And those people are nice too .. kidding .. your family is gorgeous~! Such a beautiful family. I love it. I am glad they belong to you!